As I mentioned in my last post, my wonderful love and I are making our way through a dearth of horror movies this October. We began with two versions of Phantom of the Opera, and loved them both, for different reasons. Since then, we've watched Hocus Pocus, one of my faves, but not one his ;-p and The Nightmare Before Christmas, another one of my all-time favorite movies for Halloween, which he was very happy to watch with me. Then, we watched Corpse Bride, which I had not seen before, and which I absolutely adored. 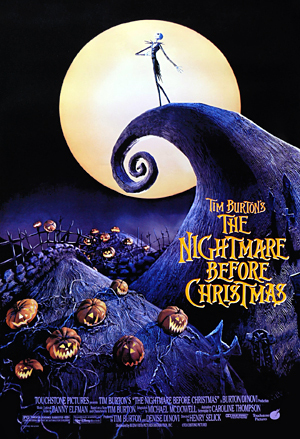 First, The Nightmare Before Christmas has been one of my all-time favorite Halloween movies since I was a kid. It's creepy as hell, but also has a really sweet kind of message. Plus, there's a great romance between Jack and Sally. If you haven't seen this movie, stop reading and go watch it. Seriously! It's fabulous. It's dark fantasy, a musical, a romance, and has both Halloween and Christmas spirit. I'm not sure how they pulled it all off, but this brain child of Tim Burton is a treat. It follows the story of Jack Skellington who is the King of Halloween Town." Yet, somehow, Halloween has lost its luster. He's become bored with being a walking skeleton. He wants something more. Despondent, he wanders into the forest and finds a circle of trees, each of which leads to another holiday themed town. He picks the one with the Christmas Tree on it, and quickly becomes obsessed with the idea of Christmas and Santy Claus, as he calls him. Through all of this, Jack also catches the eye of a rag doll named Sally, and a romance blooms from afar. When Jack's plans go to hell, Sally takes it upon herself to rescue a kidnapped Santy Claus and save Christmas. I won't leave you with any more spoilers than that in case you haven't seen the movie. But it's such a sweet romance with such a dark fantasy overlay. I might write romance, but I certainly have a dark side, and this movie just hits all the goods for me. Romance, horror, dark humor, fantasy, Halloween, Christmas - it's like all the different sides of me are represented in this one. It was a real joy also to watch The Nightmare Before Christmas and Corpse Bride back-to-back. 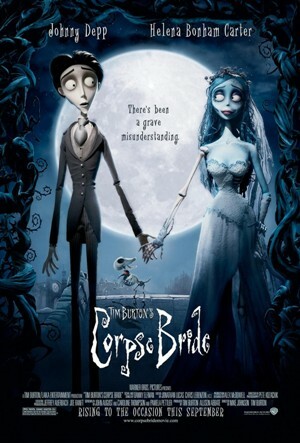 Corpse Bride was totally a romance first, with a corpse and underworld elements thrown in. It was also a musical. Watching it the first time was great, but I think for full appreciation to sink in like what I have for The Nightmare Before Christmas, I'll have to watch it a few more times. Thank goodness for Netfilx, right? Helena Bonham Carter, Victor and the Corpse Bride go on quite the adventure. All ends wonderfully well, with the bad guy getting his comeuppance, the guy gets his girl, and they're destined to live happily ever after! Be still my romance-beating heart. Along with the wonderful romance is intrigue, horror, danger, and fate. Again, this movie hits all the good points for me. Horror and romance! It's genius, and I highly recommend it. Check back soon for the next installment of Zombiepaloosa!